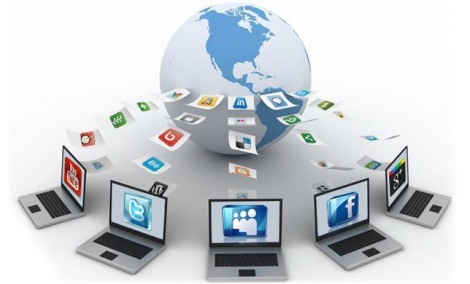 The advanced technology of promotion on social networks allows your website to get even greater traffic from social networks than that provided by search engines. This great news reveals the power and effectiveness of absolutely free promotion on social media within IQSites. in Its Most Perfect Implementation. To maximise the power of social networks, we have fully automated the process of their integration with your website. The technology is optimised in a way that it is sufficient to indicate the addresses of your Facebook, Instagram, Google+ and VK pages, and our system will do everything for you by itself. The software of IQSites will automatically insert full-fledged social networking widgets, allowing your website visitors to immediately subscribe to your pages, see the number of group members and pictures of your friends directly on the site. Decorate your website with bright social networking widgets and your visitors will immediately pay attention to them. Now your groups will grow together with the site traffic growth. It looks like magic, but we know how much effort has been made by our best programmers and engineers who made the system work so great. We turned really complicated things into simple and intuitive ones. and our system will do everything for you. At the bottom of each page there appears automatically a strip of social networks buttons allowing visitors to share information with their friends. Whatever you may post on your blog or other website pages, all this will now appear on the social networks, attracting new traffic. Therefore, these posts are simply obliged to be excellent. The automatically generated entries with links to the site pages provide the unmatched quality of images, texts, and links to your website.The automatically generated message is displayed perfectly in the newsreel of all the friends on social networks and attracts maximum traffic to the promoted page. You can share your website entries with your friends on the social networks even using our mobile application. All this works perfectly and looks perfect, so even the simplest tasks become more exciting. Your site advertising is always one step ahead of others from the first day of work. A beautiful social network group is a pleasant thing for the whole company to look at. Each post looks properly and refers to the appropriate page on your site. This generates a huge traffic to your website. The buttons "Share" at the bottom of each page encourage visitors to share information with their friends on social networks. New people attract even more traffic. It's like a never-ending cycle, a machine regularly increasing traffic to the website. Developing your site is easy and enjoyable now! Take advantage of this great opportunity to make your business many times more effective!